At Bassett Family Chiropractic here in Shelby Township, our goal is to help our cherished patients heal from symptoms such as headaches, neck pain, back pain- and keep people healthy. Your journey toward health and the cherished partnership between your Shelby Township Chiropractors and patient is the focus us here at Bassett Family Chiropractic. So many people deal with migraines and headaches and traditional medications are dangerous and have minimal effect. We love helping these people because these problems decrease their quality of life and we can often give them their lives back. Neck pain and back pain are the things you would normally think of when you think “chiropractor.” When there is a misalignment in the spine the joints, nerves, and muscles are all involved. People can take all the muscle relaxers and pain killers they want but if that joint is out of alignment the pain will keep coming back. A chiropractor in Shelby Township is the only Doctor trained to find and correct misalignment in the spine. Are you sick and tired of being sick? Your Shelby Township Chiropractors can help! We love people that have been everywhere else and can’t get help with their problems. The reason why I say that is because I love helping people when traditional medicine has failed. Everything from unexplained pain, ear infections, acid reflux, you name it! When the body isn’t functioning right your nervous system more often then not is to blame so we align the spine and get the nervous system functioning better and a healthier body is what you get! 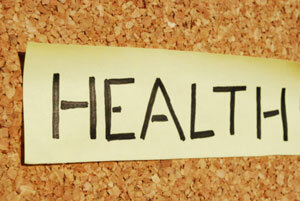 The largest part of our practice is keeping healthy people healthy! If you have a properly aligned spine your body functions better, ultimately giving you better health… And that’s what we’re here for! Get started with care today! Don’t wait! Contact Bassett Family Chiropractic now to schedule an appointment.